MIND MAN's obsessions turn deadly, as he turns on THE TEAM and young RED HOT! Not even veteran heroes LEADER ONE, MR. VELOCITY, nor his father RED HOT SR. can save RED HOT from the fatal consequences of MIND MAN's plans. Introducing... Red Hot! #2 Published by Glow-in-the-Dark Radio Comics. 94 St. Louis Street, Burlington, VT 05401. 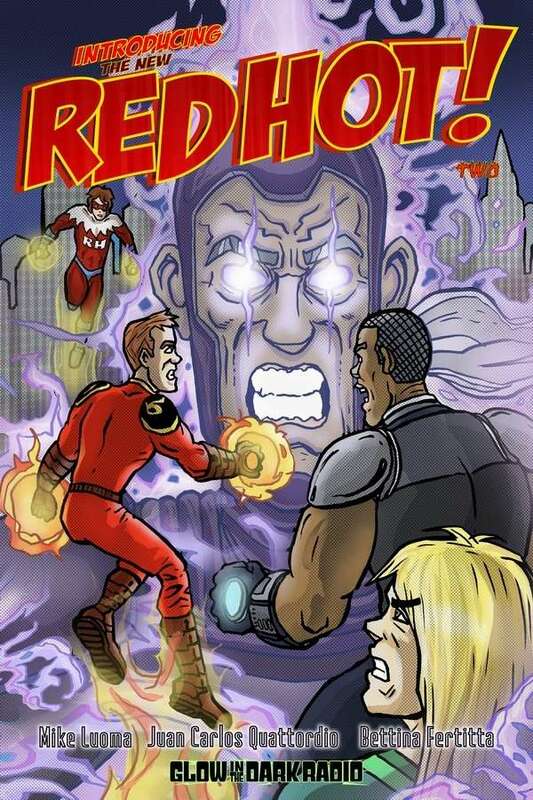 Red Hot and related characters, logos and trademarks herein as well as Glow-in-the-Dark Radio Copyright 2015 by Michael F. Luoma.